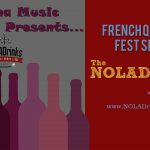 On this edition of The NOLADrinks Show we have our next French Quarter Fest Series from Louisiana Music Factory! With the festival right around the corner, we’re all getting excited! 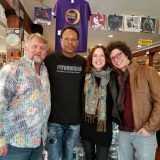 This time around, we talk with two highly multi-faceted musicians, cellist Helen Gillet and percussionist Derrick Freeman. 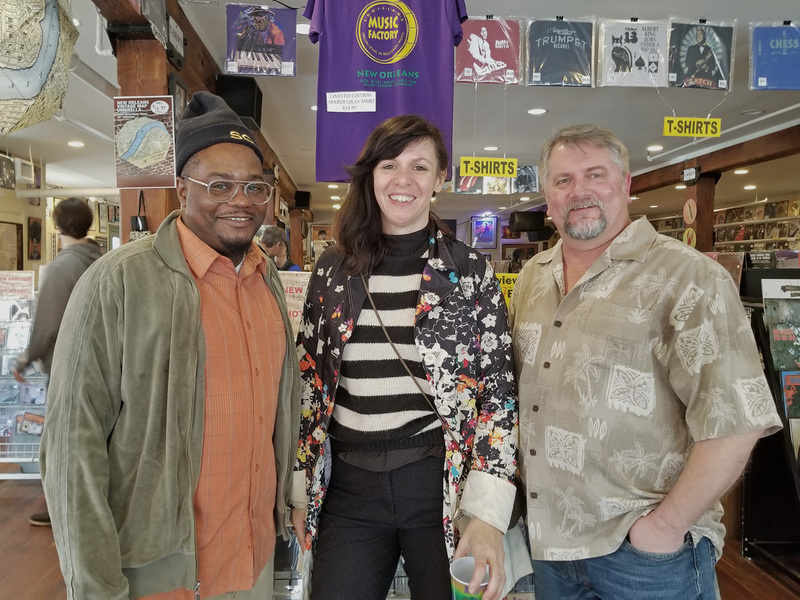 Pictured above from left – Derrick Freeman of Soul Brass Band, Helen Gillet, and Bryan Dias of The NOLADrinks Show. 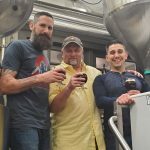 We start the show off letting you know what’s on tap this week. 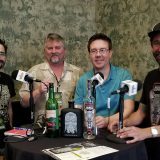 We also let you know about next week’s show featuring interviews from the 3rd annual New Orleans Bourbon Festival. 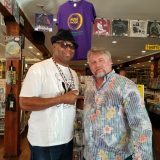 Then, we’re off to our featured interview and the next installment of our French Quarter Fest Series from Louisiana Music Factory. 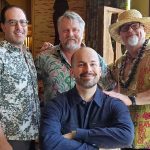 We chat with two very talented musicians – percussionist Derrick Freeman, leader of Soul Brass Band among many other things, and Helen Gillet, a very eclectic cellist. Both draw on numerous influences and genres in their music. We talk about their backgrounds in music, both started young, and some of their influences. Helen grew up in Singapore and comes from a bilingual household. Her multicultural upbringing is reflected in her music that ranges from Indian music to French chanteuses to rock. Derrick, a long-time New Orleans resident who studied at UNO, was raised in Houston and comes from a classical background along with musical theater. His projects have spanned jazz to New Orleans music to hip-hop. He is a leader of the Soul Brass Band. Next up, we talk about food and drink. 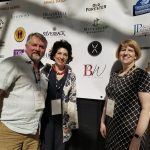 Helen and Derrick touch on their love of cooking and some of how their upbringing and experiences abroad have influenced their palettes. We even get into some favorite recipes and kitchen ideas! 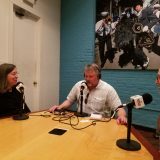 We close out the radio portion of the show talking about French Quarter Festival and what it means for them to participate. 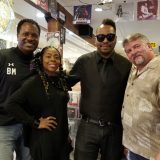 Derrick and Helen talk about when and where they are playing and a bit about what to expect from their performances. They share some of their experiences playing past festivals – Derrick, for example, has played with a who’s who of the fest! 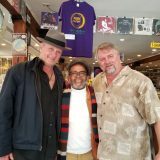 Pictured at left from left – Helen Gillet, Derrick Freeman of Soul Brass Band, and Bryan Dias of The NOLADrinks Show. 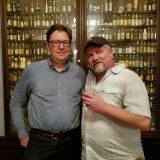 Helen and Derrick stick around for our podcast-only “Another Shot with NOLADrinks.” We cover some more ground, namely, they both share some terrific stories from touring abroad – don’t miss it! We close things out with our “Parting Shot” talking about how New Orleans defies genres. The map below shows the location of Louisiana Music Factory. 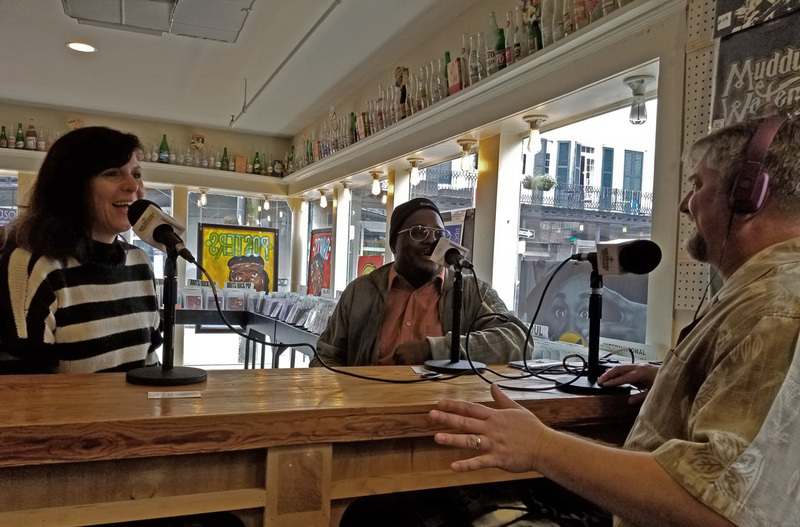 You can subscribe to, stream, and download The NOLADrinks Show podcast using the links and player at the top of the post!